Reserve your room 30 days in advance to receive 20% off the best available rate. A tropical oasis set against colorful Bahamian architecture, towering palms and the stunning Bell Channel Bay, Pelican Bay Hotel invites you to the heart of Grand Bahama Island. 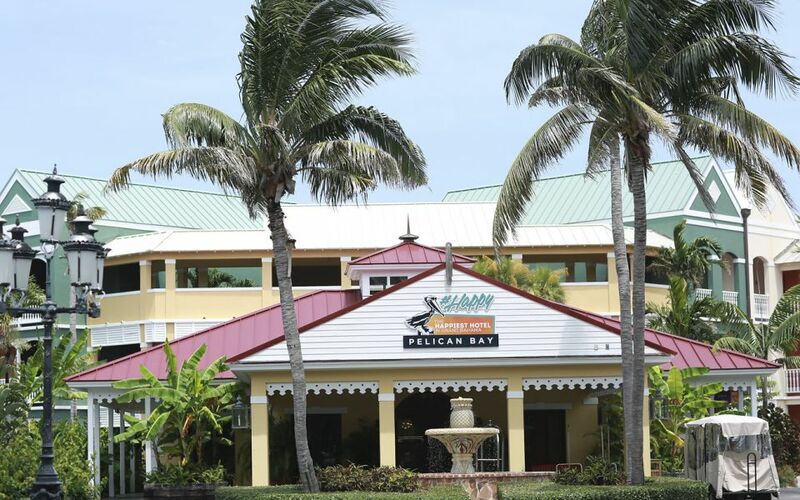 Offering the most hospitable service among Lucaya hotels, Pelican Bay is a true Bahamian treasure for business and leisure guests, as well as groups and events. Our waterside rooms feature private balconies, complimentary coffee & nespresso machines, cable TV and a variety of in-room luxuries designed to ensure your utmost relaxation. While here, guests can enjoy fusion cuisine at our premier dining destination, Sabor, three refreshing pools and over 30,000 square feet of meeting space. Guests also have easy access to an assortment of attractions and activities, including the Port Lucaya Marketplace with various shops and restaurants, in-room spa services, nearby marina, a casino and a golf course. Welcome to your best vacation or business travel at Pelican Bay Hotel.